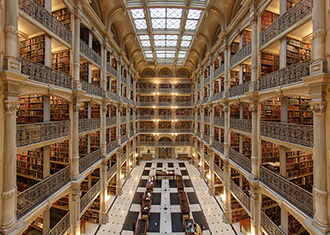 Since 1931, the Friends of the Johns Hopkins University Libraries have helped provide resources for scholars and supported programming designed to engage, enlighten, and inspire the Hopkins and Baltimore communities. Be part of the tradition. Be part of the future. On March 5, 1931, in Gilman Hall, the Friends of the Johns Hopkins University Libraries was established. 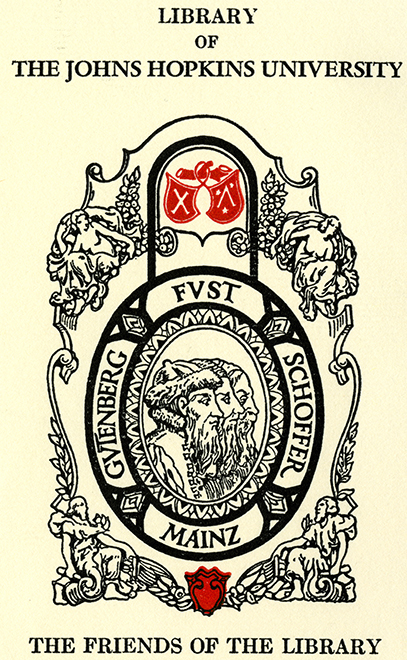 This group, founded at the request of President Joseph Ames and following the example set at Oxford’s Bodleian Library by Sir William Osler, was created to provide financial support for the university library, particularly for acquisitions. If it seems odd that the Friends’ birth should come more than 50 years after the university’s founding, consider that the original library used by the university was the George Peabody Library. 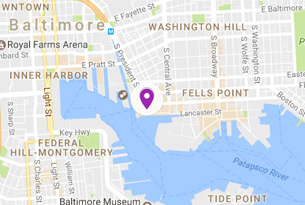 Its significant collections (some 60,000 volumes in its early years) and proximity to the university — then located in downtown Baltimore — made it a perfect resource for the new university. Indeed, the first appropriation for books was only $5,000 as there was no need to purchase materials that would duplicate the Peabody’s substantial holdings. Forty years later, when the university moved to its current location at Homewood, it became clear that having a library some two miles distant from campus was not the best arrangement for faculty and students. The university’s library had grown, through department holdings, to nearly 200,000 volumes, but the collection was hardly comprehensive (Ames called it “spotty”) and in need of support. Enter the Friends of the Libraries, whose first executive committee contained names that will be familiar to Hopkins alumni and students today, including Frank J. Goodnow, Hopkins’ third president; Albert D. Hutzler, for whom the reading room is named; and William H. Welch, one of the “Big Four” of Hopkins Medicine and namesake of the medical library. Since that time, the Friends of the Libraries has grown from a small gathering of local book enthusiasts and collectors to a national group comprising alumni, parents (and grandparents) of alumni, faculty, staff, and others who are committed to keeping the Libraries at Hopkins vibrant. With nearly 700 members across the country, the Friends provide support for acquisitions and conservation, exhibitions and programming, and resources to help Hopkins scholars stay ahead in a research landscape that is constantly changing.